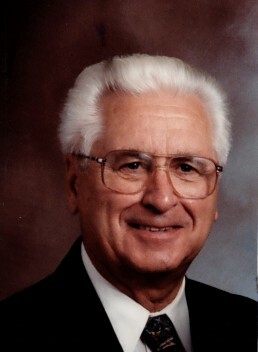 Harold “Sam” Mahlon Heath, age 92 of Stratford, passed away peacefully at Greenwood Court on February 5, 2019. Born in Stratford, son of the late Jack and Melinda Heath. Beloved husband of the late Shirley (Campbell) who predeceased him January 20, 2018. Loving father of Dan (Lise), Nancy Gibb (Doug) and Kathleen Cuerden – deceased 2011). Father-in-law of Harry Cuerden (Carolyn). Grandfather of Erland Heath (Joanna), Colin Heath (Bria), Mackenzie Heath (Kyle), Emily Gibb (Alex) and Dan Gibb. Great grandfather of Tristan, Kierra, Jayla and Vaida. Dear brother of Laverne Heath and Douglas Heath (Dona). Also survived by sisters-in-law Bonnie Heath, Evelyn Heath, Louise Campbell, Gladys Murray and several nieces and nephews. Predeceased by brothers Stuart Heath, Clifford Heath and brothers-in-law Keith Campbell (Phyllis), Jack Campbell (Loretta) and Bill Campbell. Harold worked as a Yard Foreman with the CNR for 35 years. He was a member and Past President of the Senior Kiwanis Club and was a member of the Royal Canadian Legion, Branch 518, Tavistock. Friday, February 8, from 7-9 p.m.
Saturday, February 9, at 11 a.m.